A small Montana based chain of ice cream shops called Sweet Peaks Ice Cream will be opening soon in Downtown Spokane. The company, which is based in Whitefish,MT has leased the space next door to Durkin's Liquor Bar in the 400 block of W. Main and after remodeling they hope to open there around April of this year. Sweet Peaks Ice Cream is known for their handcrafted ice creams with both classic flavors and more seasonal flavor options, all made by Sweet Peaks themselves. Many of the seasonal flavors are unique challenging the big chain ice cream shops in providing a fresher, better local alternative. After a kind of lengthy wait the new Pho restaurant in Liberty Lake is now open for business. The restaurant goes by the name Pho Liberty and can be found in the former Twisp Café space at 23505 E. Appleway Suite 100. Pho Liberty is a locally owned and operated establishment serving 10 different kinds of Pho in addition to a large selection of other authentic Vietnamese dishes such as egg noodle soups, noodle and rice entrees and more. For drinks there is Vietnamese coffees, Thai Tea, Pepsi products and even Boba smoothies. Open Mon-Sat, Pho Liberty has a dine in area and also accepts carry out orders. They seem to not have a website or Facebook page just yet but for more info guests can call 509-598-8275 . There is also a menu posted on their Yelp review page. Many national media outlets have reported recently on the struggles of the New Jersey based Toys R Us,Inc. . The company filed for Chapter 11 bankruptcy protection back in September so we assumed it was only a matter of time before we saw a store closure announcement. That announcement unfortunately came overnight last night. The Toys R Us store at Broadway and Sullivan in Spokane Valley will stay open for business. Going out of business sales are to begin next month and stores on the list will likely close their doors sometime in April. No word on how many employees will be laid off as a result of the local store closure. Stores in Everett and Silverdale,WA are also included on the store closure list but none in Idaho. 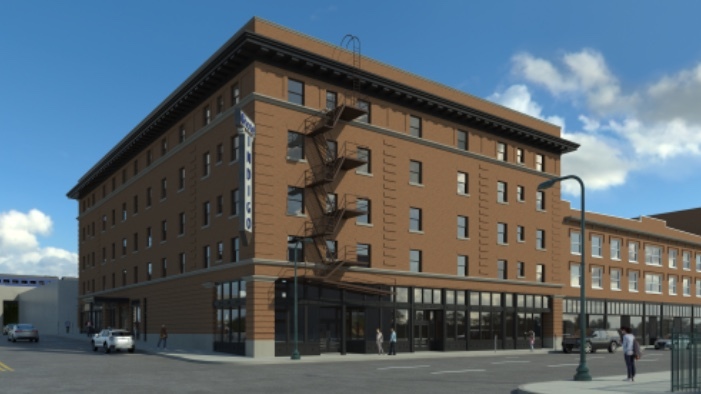 It was announced back in October that a Portland based developer has acquired the former Otis Hotel building at 110 S. Madison on the west side of Downtown Spokane. His plan is to convert the building into a new location of the Hotel Indigo chain. And as it appears his renovation plan is now moving forward with an ambitious goal of opening the new hotel about 10 months after actual construction start. Building permits we're filed a few days ago and are now in the " plan review " phase. Fisher Construction Group, which has offices in Burlington and Spokane is listed as the contractor on the project, this is also the same company who is wrapping up work on the new passenger terminal over in Everett at Paine Field among many other projects. 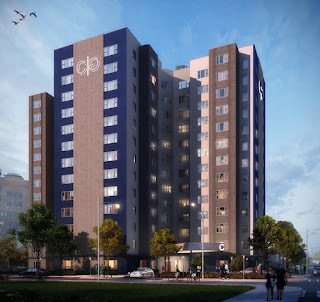 We only have some details about the new Hotel Indigo itself but know it will have 112 guest rooms and they will keep / update the existing Otis sign on the outside of the building . We hope to have a post with more about that in the future. But we do expect a trendy boutique style hotel experience as this is common with the Hotel Indigo brand. Another sign that the Hotel Indigo Spokane project is moving along, is marketing documents are now being distributed to lease spaces on the ground floor. The new hotel will have a lobby on the ground floor and they are hoping to land a new restaurant for where the Carriage House Restaurant was many years ago. At least 2 more tenants spaces are also shown as available for lease to retail or similar businesses. In the ad it says these spaces would be available for move in during the 3rd quarter of 2018, which ads up to the developer's 10 month construction plan. These spaces will rent for between $16 and $18 per square foot and are being leased by RenCorp Realty. 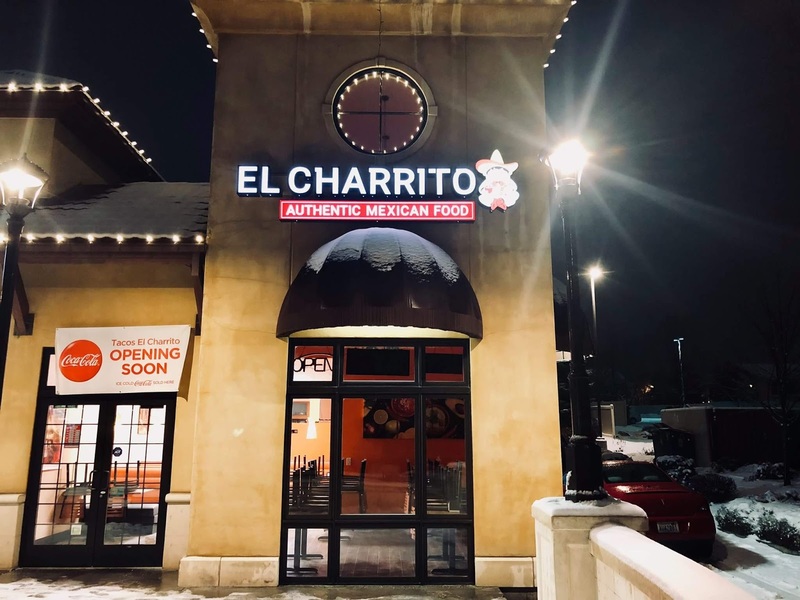 Several other small local businesses have also opened in the same neighborhood recently in a sort of renaissance for the area. A new concept in Chiropractic care is coming to Spokane. A chain called Walk In Chiropractic by Wellness WORx is setting up shop now at 915 E. Hawthorne Rd Suite D just north of the Northpointe Shopping Center. Walk In Chiropractic is a small chain based out of Billings, MT and they also opened a location in Coeur d' Alene last year. As the name implies customers of Walk In Chiropractic just walk in, no appointment is ever needed. Their locations are open weekdays 10-7 and 10-4 on Saturday , with licensed chiropractors standing by during those hours to provide adjustments and get your back, back in shape. The introductory adjustment is marketed as being only $29 and they also offer a wellness membership. The membership allows guests 4 adjustments each month for $69 a month and regular non members can have adjustments done still but at $40 per service. No set opening date has been released just yet but they indicate on their Facebook page that the new Spokane location should open sometime later this month. Fleet Feet Sports has officially joined the tenant roster of Kendall Yards with their opening at the end of last week. Fleet Feet is the second business to open in the " bluff building " along W. Summit Pkwy , Kendall Yards' main drag. The other business already open in the Bluff Building is the Maryhill Winery tasting room and a new sushi spot called Umi Sushi is yet to come in the building. Fleet Feet Sports is a locally operated franchise of a running / fitness shoe and accessory retailer. The store is actually a relocation of an existing store as they had a location at 1303 N. Washington near the Arena. Other Fleet Feet Sports stores are also open for business in Spokane Valley and Coeur d' Alene. The Kendall Yards store occupies a 4700 square foot space , with a ground floor and a mezzanine overlooking the sales floor below. Fleet Feet isn't alone in the space either as Indaba Coffee has opened a small coffee shop area in the same space as the store. This is Indaba's 3rd location and will soon be the 2nd Indaba Coffee location in Kendall Yards as they are also planning a " pod " location in with the Hello Sugar donut shop when it opens in the Spring. * Building permits are now in a pending state to renovate the abandoned Otis Hotel building on 1st Downtown. 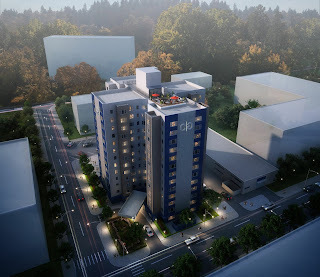 A Portland based developer is purposing opening a Hotel Indigo franchise there, apparently sooner rather then later. This has already been mentioned on this site but we're hoping for even more details. * The Circle K convenience store chain looks to be coming to Spokane as they have building plans for 3 locations within the Spokane city limits. Quite possibly more will come too as all the info I have is in the city. * The renovation of the Tradewinds Hotel in Downtown Spokane shouldn't be too much longer. Originally the hotel was supposed to be open by now as a Howard Johnson but the parent company decided the hotel didn't fit that brand so there have been a few delays. It reportedly will open as a Baymont Inn & Suites and we'll have the details on it soon. The Cooper George building at 707 W. 5th has been various types of senior citizen housing / assisted living for many years now. 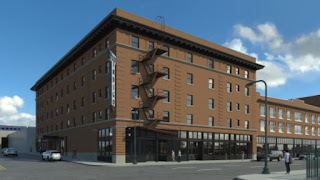 But, with the boom of people wanting to rent in and around Downtown Spokane it only makes sense that now would be the time to convert the 60+ year old structure back to it's original use, apartments for anyone. For the past few months crews from Spokane based Baker Construction and others have been hard at work on the building. And, now we are able to report that the newly created apartments will should be ready to be moved into as soon as late February. In all the Cooper George will now be home to 144 apartments with studio, 1 and 2 bedroom units available. The building has been completely updated providing modern apartments with upscale materials and finishes. But, it's main selling point will no doubt be the location as it's just a short couple of blocks into Downtown Spokane and has abundant public transit all around great for Downtown workers or those that just want to be close to all the events/ shopping / dining and more. The views are awesome too with units on the top floor ( 12th floor ) being able to overlook all of Downtown and all the way up to Mt. Spokane. Apartments at the Cooper George building will rent from $1080-$1835 per month and the rent includes all utilities. Residents will also have access to a host of amenities including a roof top deck and a café space, etc. in process of coming to the completed building. More about what is all included is on their website. The renovations at the Cooper George are just one of several new apartments coming online soon in Downtown Spokane. Apartments at both The M ( former Macy's ) and the Ridpath are to come open for residents this Spring. In addition to the new apartments at the Chronical Building and in Kendall Yards and more. Spokane Tribe Casino's opening day is finally here! After years of planning and months of construction, Spokane Tribe Casino will open their doors to the public today ( Monday, Jan 8th ) at 7pm. They have been in soft opening mode since the end of last week exclusively for members of the 2900 member Spokane Tribe. Located in Airway Heights at 14300 US Hwy 2 the new Casino adjacent to the Spokofuel / Arby's complex which is also owned and operated by the Spokane Tribe. 38,000 square foot building with 450 slot machines and 12 table games. Surface parking lot for free parking steps away from the entrance. 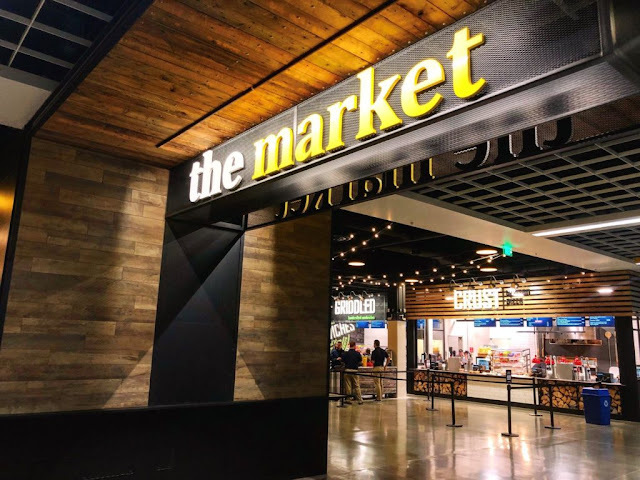 The Spokane Tribe Casino opening also introduces a few new local dining options with a new restaurant, new bar and a new quick service deli style establishment all located inside the Casino. Three Peaks Kitchen + Bar serving casual fine dining with scratch made menu items that use local ingredients. Speelya's Den serving sandwiches ,salads and the like in addition to espresso and coffee drinks. Whaluks, a bar with locally crafted wines, cocktails and beers. The new Casino will use the Sun Club players club which is tiered players club based on the players points. More information on how to sign up for the Sun Club can be found at the Casino or on their website which is listed below.